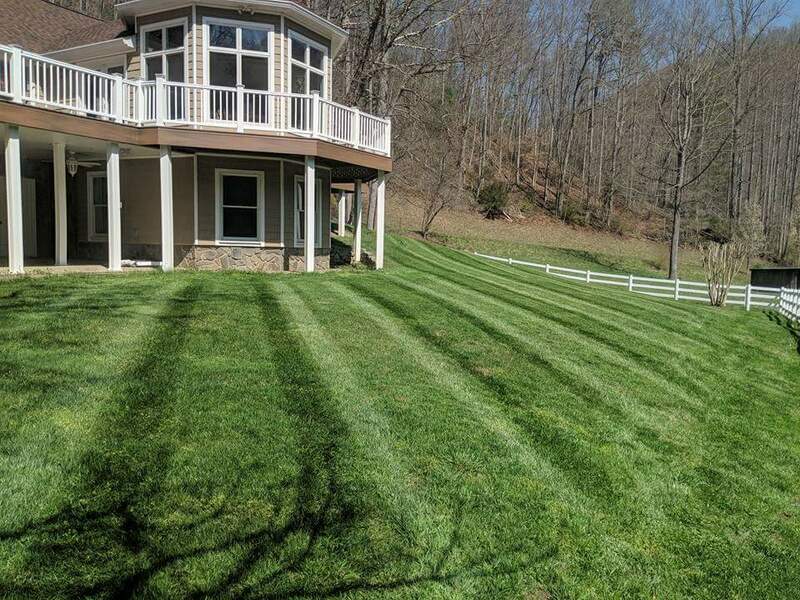 Tollies Landscaping is a full-service landscaping firm based in Sylva, NC that services all of Western North Carolina. We specialize in fencing, hardscapes, outdoor living spaces, and landscaping for commercial & residential applications. Our dedicated team of landscape professionals (we do not sub-contract) treat every project with care and craftsmanship. We work closely with each client to ensure a successful and fruitful outcome. This is how we’ve gained the privelage and trust of so many of our neighbors, friends, and colleagues. When you need to have trees of any size cut down, limbs/brush cleanup done immediately, and the ground groomed to perfection afterwards, call Tollie’s Landscaping! In order to take advantage of solar roof panels recently installed, we needed to cut a lot of big trees. The AMAZING thing is that every tree felled went exactly the path identified by Brad and his team. It was phenomenal to watch. The huge oak next to my home and the preparation done to insure no damage occurred was significant and representative of the excellent work throughout the project. There are just not enough thanks to Brad/his crew for a FABULOUS job, very well done in every aspect.